Who doesn’t love tortilla chips? Bread some chicken in tortilla chips and you have a winner! 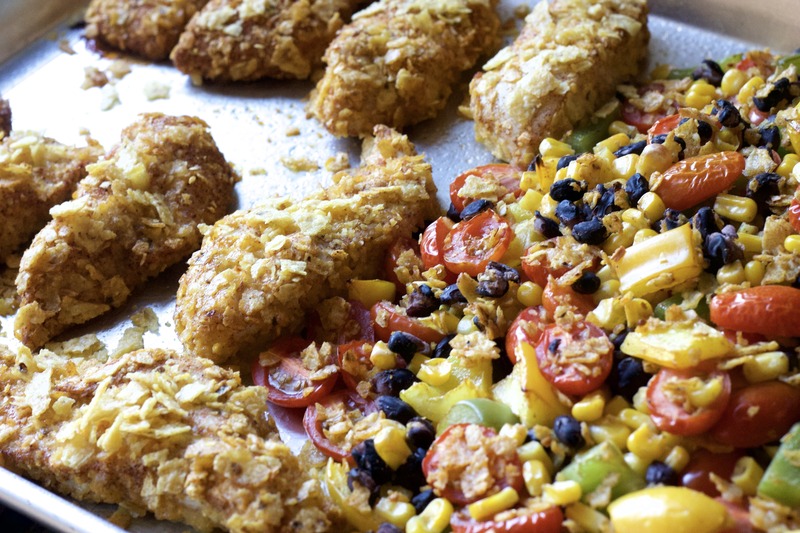 These crispy tortilla chicken strips will be a hit with the kiddos in your house! 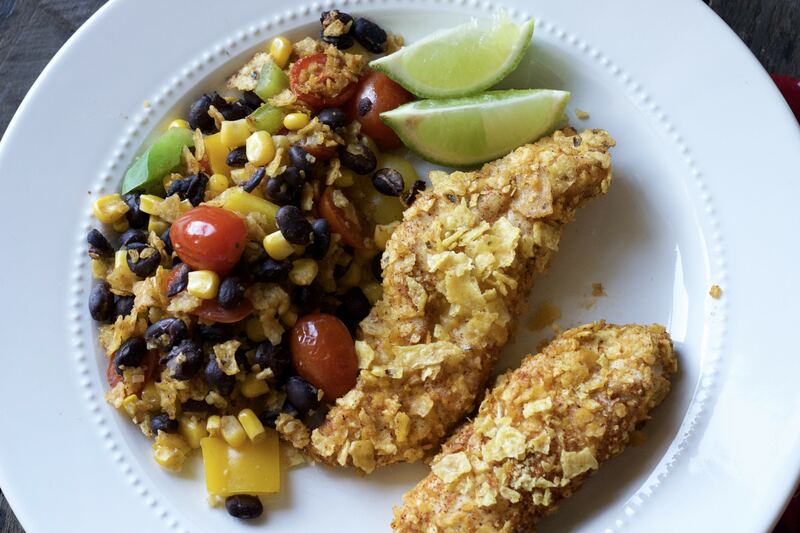 Crushed tortilla chips, flavored with taco seasoning, give these chicken strips a crispy coating. 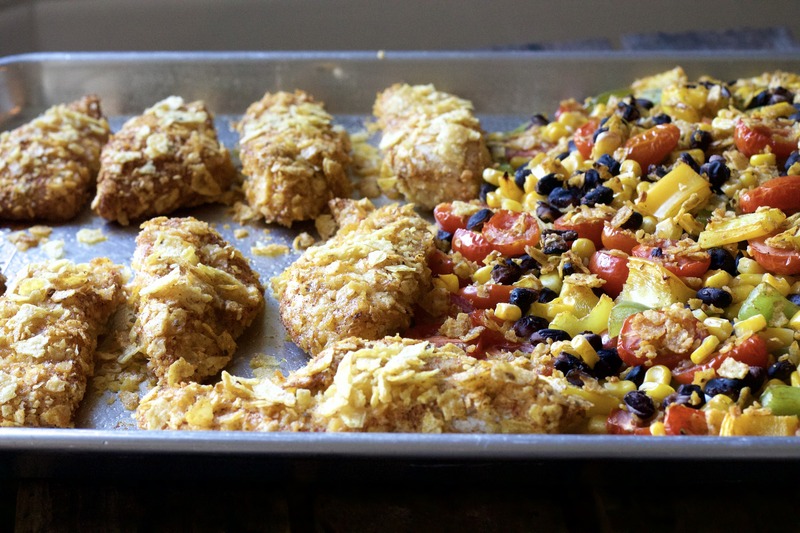 The crispy tortilla chicken strips are served with a delicious side of black beans, corn, and tomato, mixed with some of the crushed tortilla chips, giving it a little extra crunch. 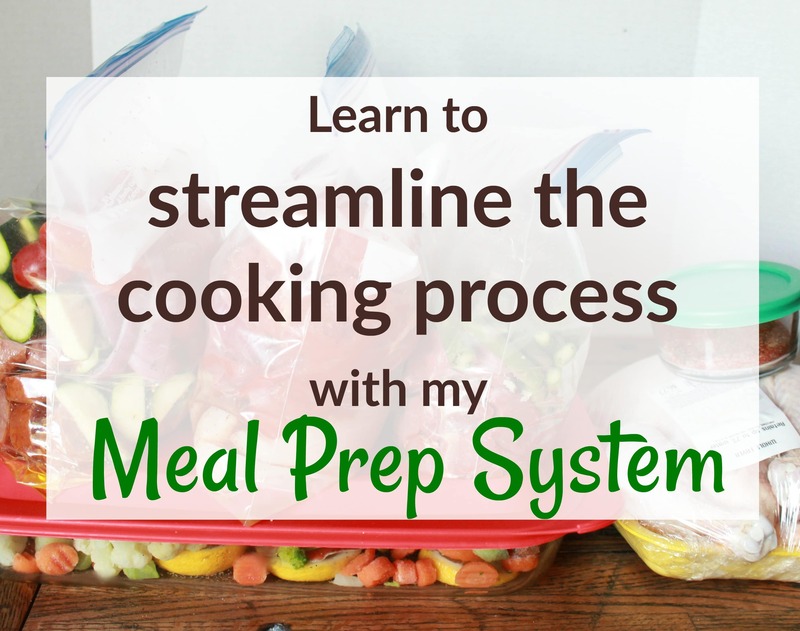 It is all cooked in one sheet pan, so you can pop it in the oven and walk away! 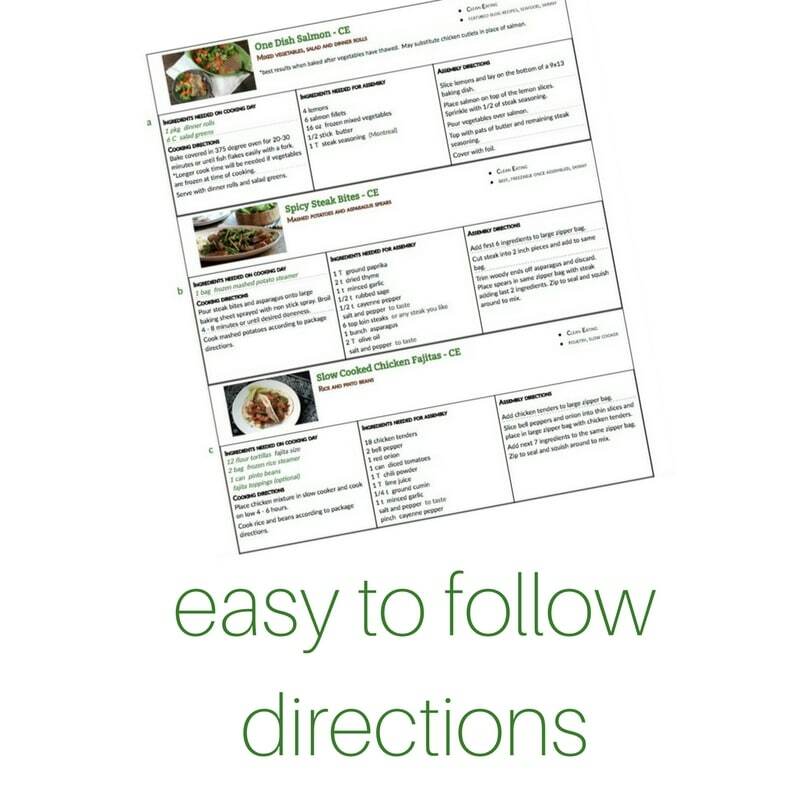 Like our other 5 dinner subscription recipes, this can be prepped ahead of time, so all you have to do is dump it in the sheet pan. 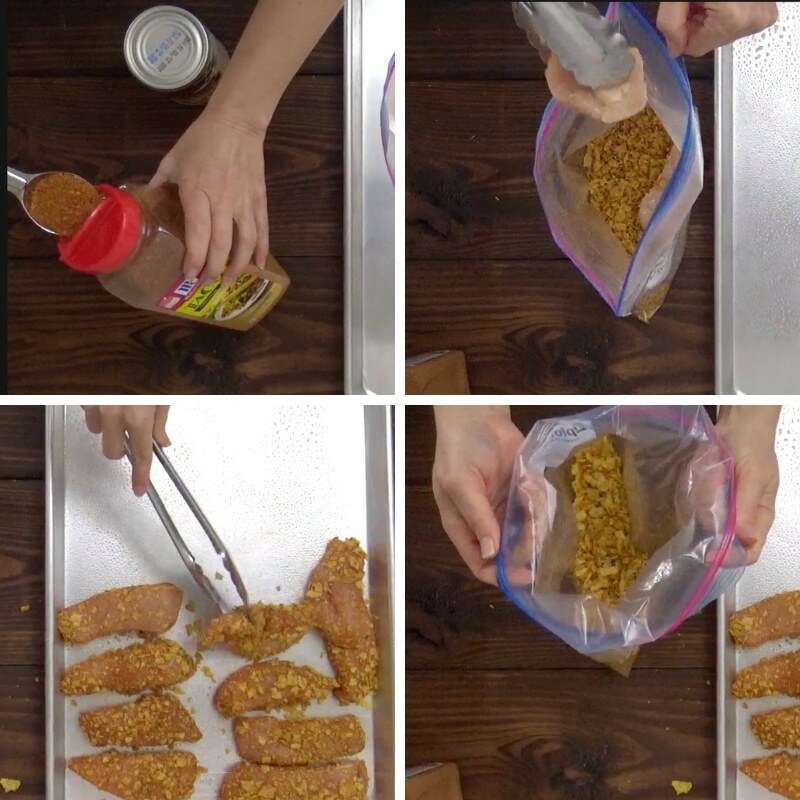 First, add chips to a large zipper bag and crush to make the breading. This is the fun part! If you want to take out some aggression, pounding some tortilla chips is a good outlet! Next, add taco seasoning to the crushed (or pulverized, if you were taking out your aggression) tortilla chips. If you don’t like to use packaged seasoning blends, you can make your own taco seasoning by using this recipe from Mother Thyme. To bread the tortilla chicken strips, add about 3 chicken tenderloins at a time to the bag and toss around until well coated. 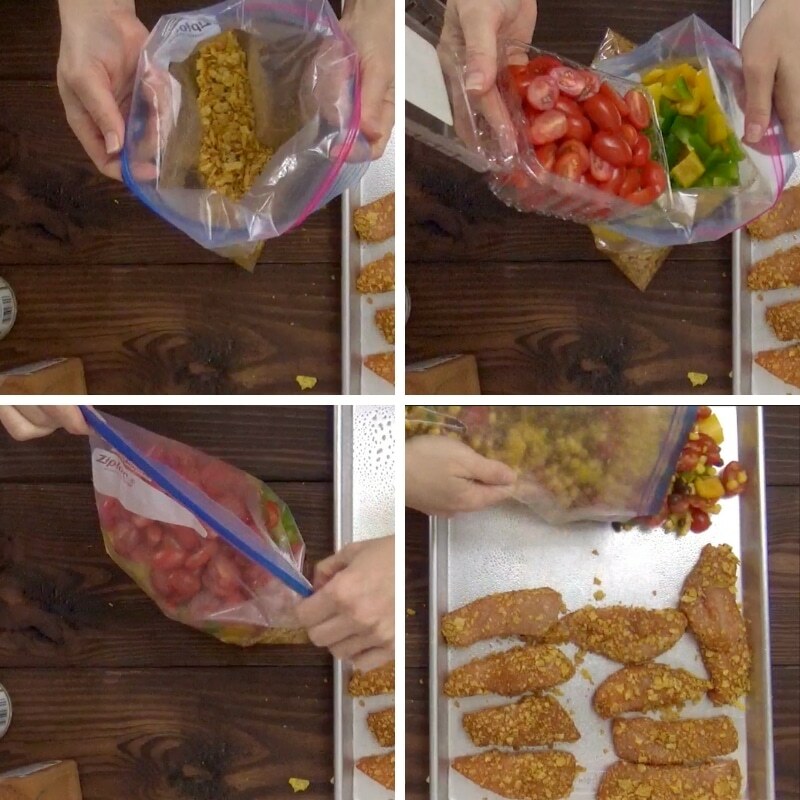 If you are prepping these ahead of time, store the chicken strips in a container with a lid. Now it’s time to make the yummy side! To begin, drain and rinse the black beans. In the same bag with the leftover tortilla chips, add the black beans, tomatoes, and corn. Keep in mind that this will all be cooked, so you won’t have to worry about the chicken having been in the chips (if it bothers you, you can crush up some extra chips and add it all to a separate bag). The additional tortilla chips will give the side dish a nice added texture. Lastly, dice up the bell peppers and add to the bag. Give it a good toss! When it is time to cook the tortilla chicken strips, preheat the oven to 400 degrees. 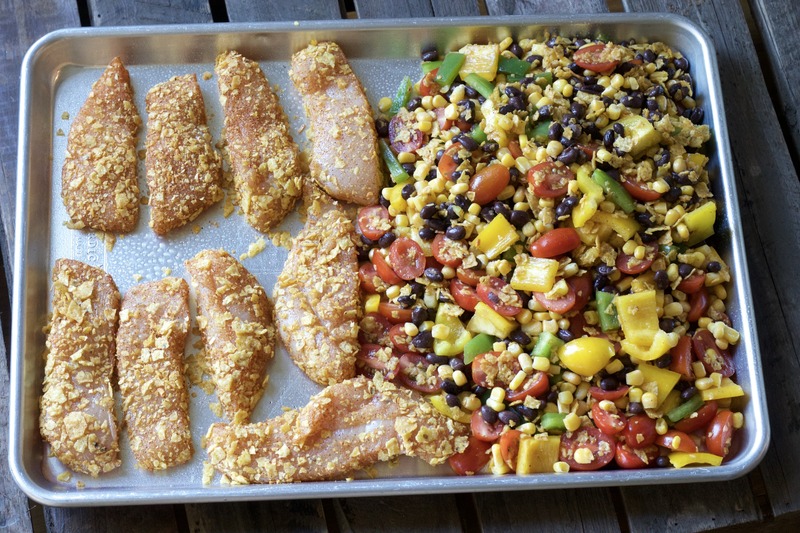 Line a sheet pan with foil, for easier cleanup, and place the chicken and side dish on the sheet pan. Lastly, bake for 20-30 minutes, or until the chicken is cooked through. To get a crispier coating, you can flip the chicken halfway through. 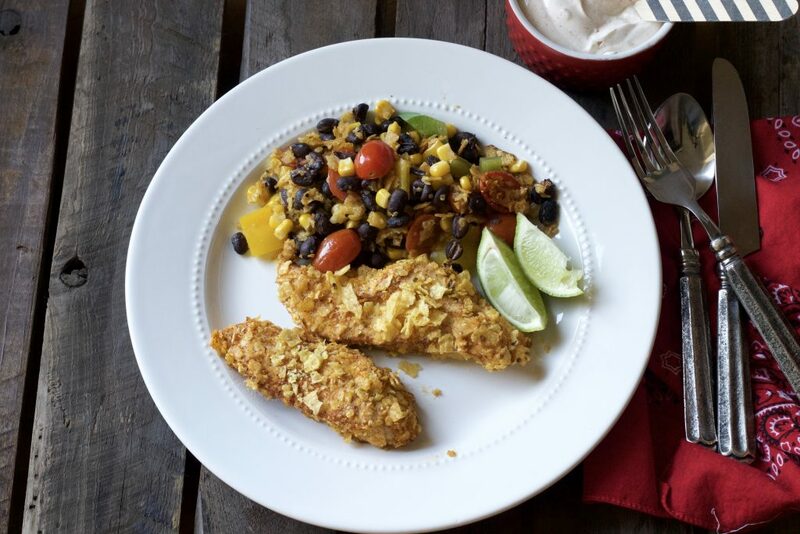 Yummy tortilla chicken strips with a black bean corn salad side! Dip the chicken with a mixture of sour cream, taco seasoning, and a squeeze of lime juice. 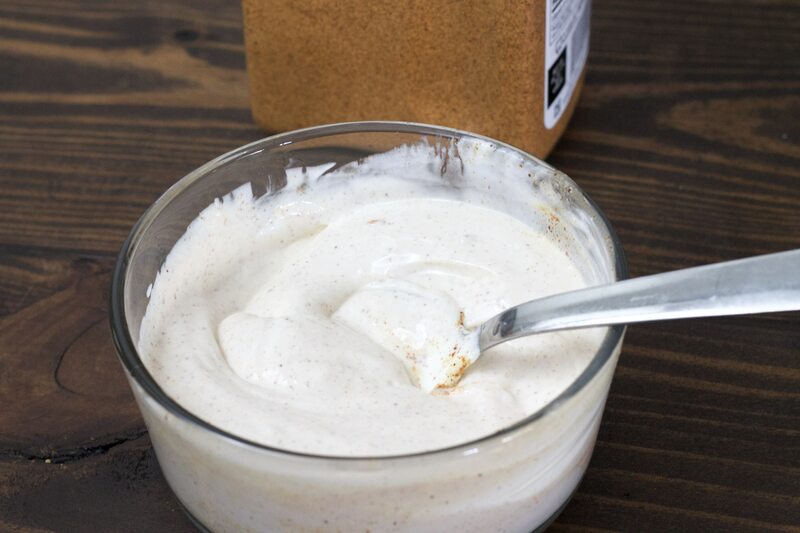 You can easily sub sour cream for plain yogurt or ranch dressing. I don’t know about you, but I love only getting one dish dirty when I am cooking! 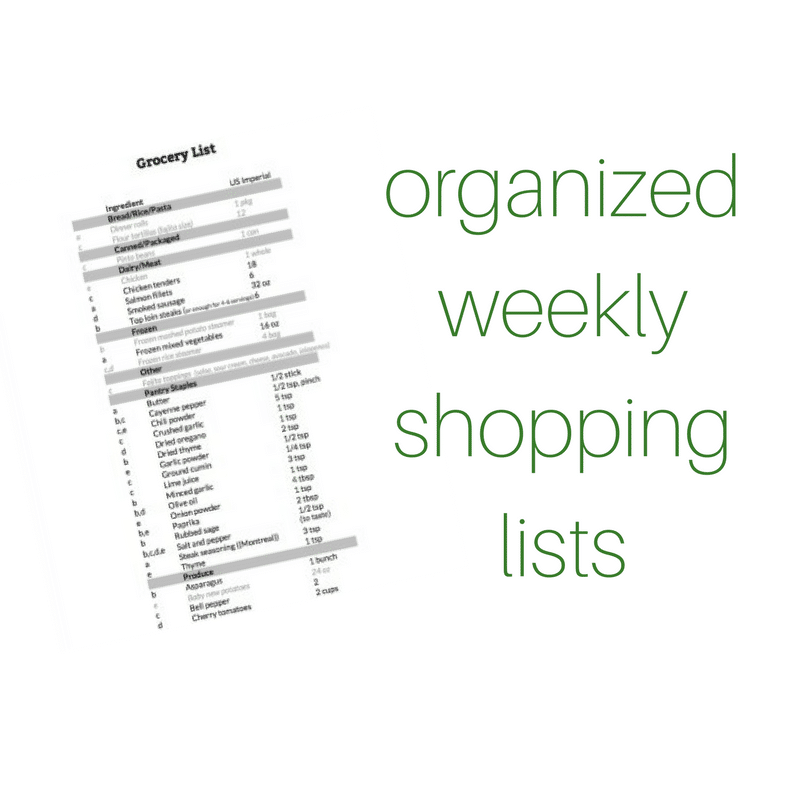 It makes clean up so easy! I squeezed a little lime over the top of it all for some extra zing. 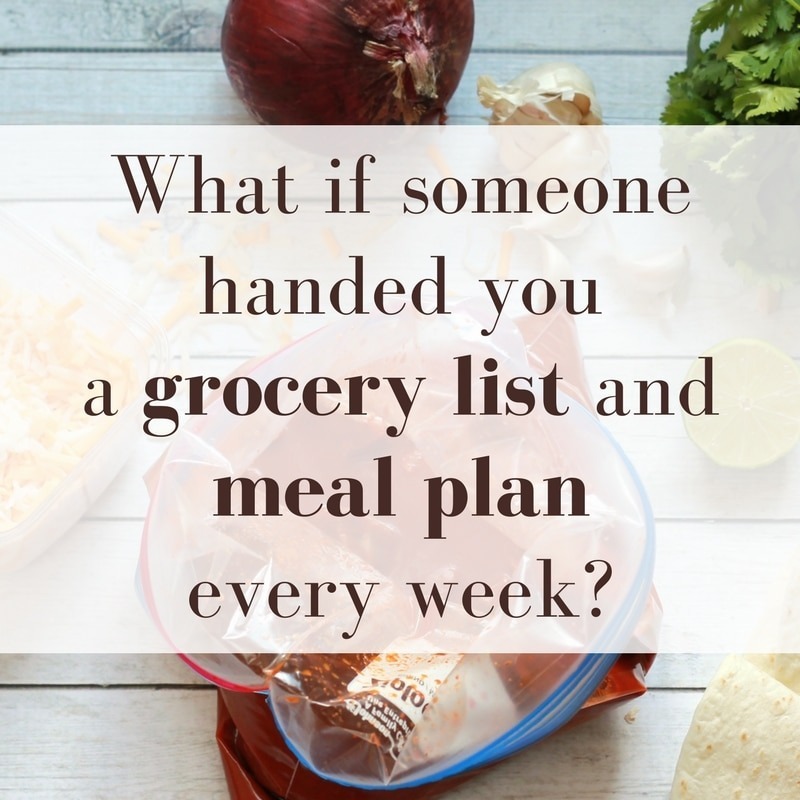 Sheet Pan Bean and Chicken Burritos – Make extras of these easy burritos and freeze for an easy lunch later on! Simple Southwest Chicken – Skip Chipotle and make this at home! Creamy Lime Cilantro Chicken – This one will make your mouth water! Print the crispy tortilla chicken recipe below! Add tortilla chips to zipper bag and crush into crumbs. Add taco seasoning to crushed chips. Add chicken tenders 3 at a time to chip mixture and shake to coat. Next, add to pan or large container with lid if making ahead. Rinse and drain black beans and add to tortilla chip bag (with remaining chip mixture). Slice bell peppers and add to black beans along with the frozen corn. Shake well and pour onto pan with chicken strips or store in bag until ready to cook. Add all ingredients to large baking sheet and bake 400 degree oven for 20-30 minutes or until chicken is cooked through. Chicken may be turned half way to increase crispness but not required.